There was only one CCO nearby and I just had to stop in. Every CCO varies in what they carry and I rarely see the same things at different locations. I did not go crazy in there and actually only one thing has been discontinued, which means you can still get the other three at MAC if they tickle your fancy! Blossoming Blushcreme in a Pearl finish. This has been discontinued. 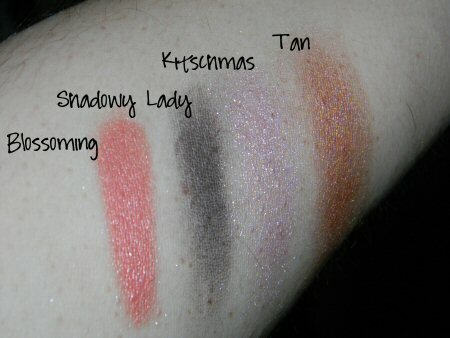 It's very pigmented. I like to dab a flat-top brush (similar to MAC's 130) lightly into it. Dab any excess on the back of your hand. Then, dot it on the cheeks and blend it out. 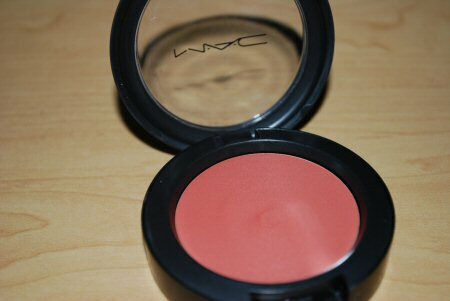 Other blushes look nice layered on top and it lasts all day. Shadowy Lady eyeshadow, which is a matte formula. 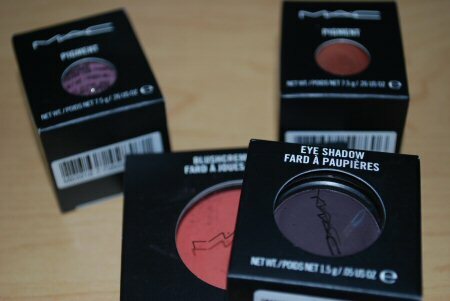 I've come to the conclusion that I am not a big fan of the MAC matte shadows when it comes to blending. They say this is a plum color and with flash, it does look that way. 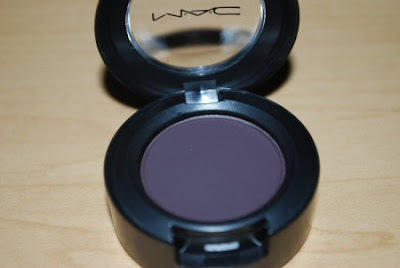 When swatched, it comes out a very dark color and it's hard to detect the purple tones. Tan pigment in the old jar. 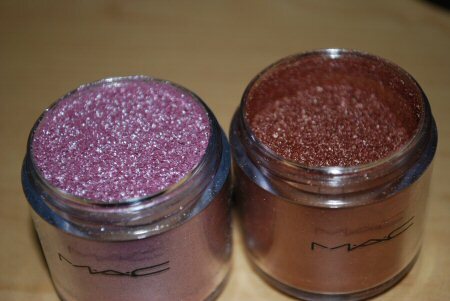 I really despise the new MAC pigment jars as I have stated before. I have one of the new jars in my collection and it makes me go nuts that it is not like the others! It's a pinkish bronze color. I would not really classify it as tan, in my opinion. Kitschmas, also in the older packaging. 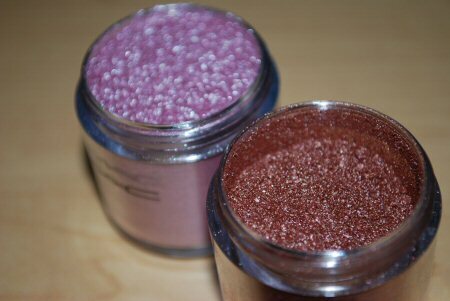 It's a gorgeous shimmery pink that goes on very sheer. This would look lovely with a bold eyeliner look or paired with a gray eyeshadow. I think I'll use it quite a bit this summer! Great haul. 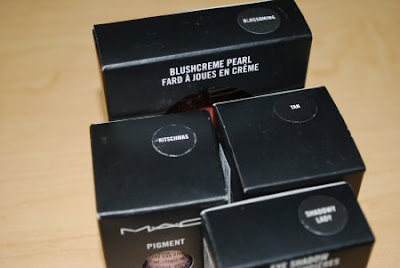 That blushcreme is stunning!